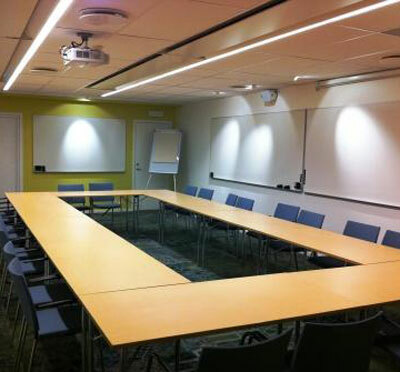 A center for meetings, innovation and learning with purpose-built rooms, great service and fully-planned daily conferences. 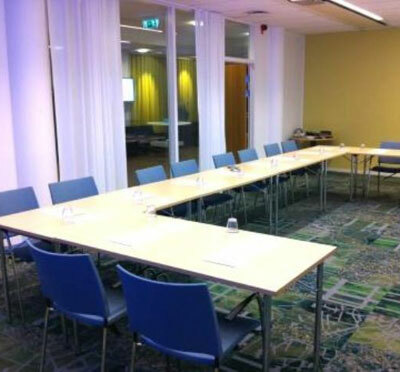 Kompetenscenter Stockholm is all it promises and even more, and an excellent choice for the company looking for a meeting place with the meetings in focus. Feel the color inspire you: purple, green or blue? 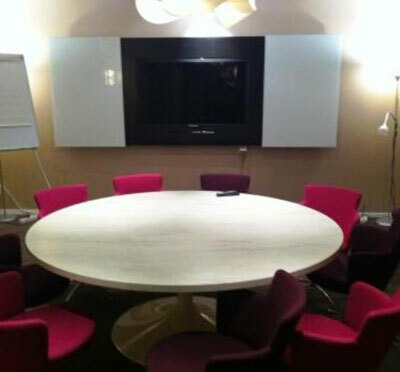 The largest conference room can accommodate 70. If you combine room Scheele 1 and Scheele 2, you can get a conference room for 60 people instead of 50 and 40 respectively. 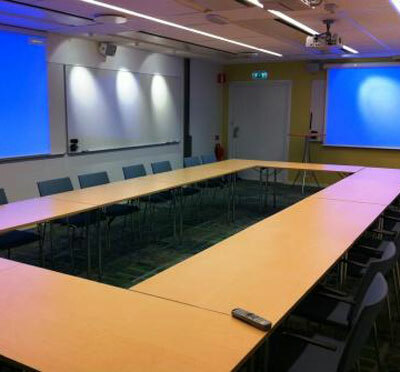 Kompetenscenter Stockholm has rooms for a meeting between two people and upwards in its ten conference rooms in different sizes and capacity. Our conference guests eat lunch at Restaurant Jonas. The restaurant was awarded in 2012 as the best new restaurant of the year. The coffee break is filled with organic fruit, espresso coffee and smaller bakery and other canapés that increases blood sugar and the energy level for further meetings. For activity suggestions, please get in touch with Kontur Konferens. With its central location, Kompetenscenter Stockholm is absolutely right to explore the capital and its beauty. At Fleminggatan 7 you will find Kompetenscenter Stockholm. Over the bridge you will find the City Terminal Station with buses, trains, underground and commuter trains. Have you been to Kompetenscenter Stockholm and want to give your own comments?